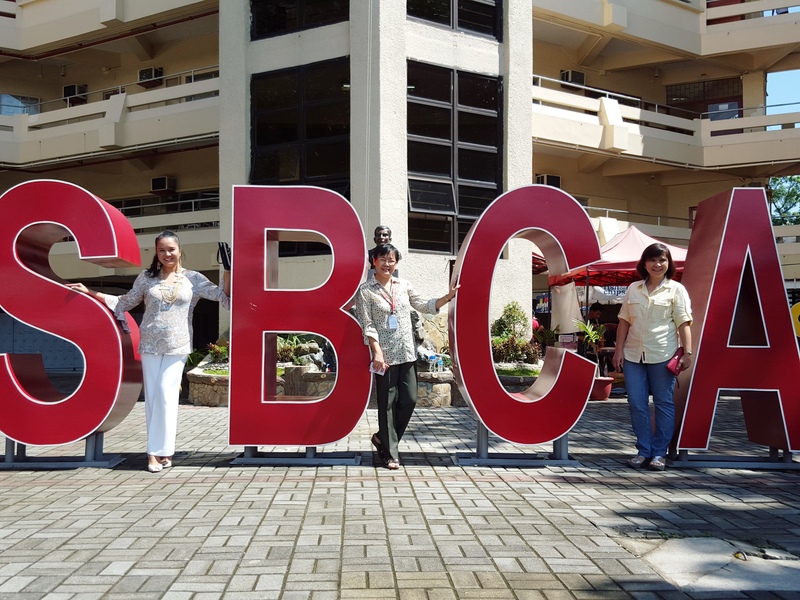 August 13, Tuesday was the first day of the Midterm Examination week at the College of Arts and Sciences. I have often looked forward to this schedule since it provides a window for me to have a common break with my close friends/colleagues, Miss Merly and Miss Cristy, who have a different free time on regular teaching days. I was ecstatic when my wish was granted to finally join my closest friends in an early lunch at 9:45 A.M. since I have my next examination to administer at 10:30 A.M.. It was a reunion of sort for us three. 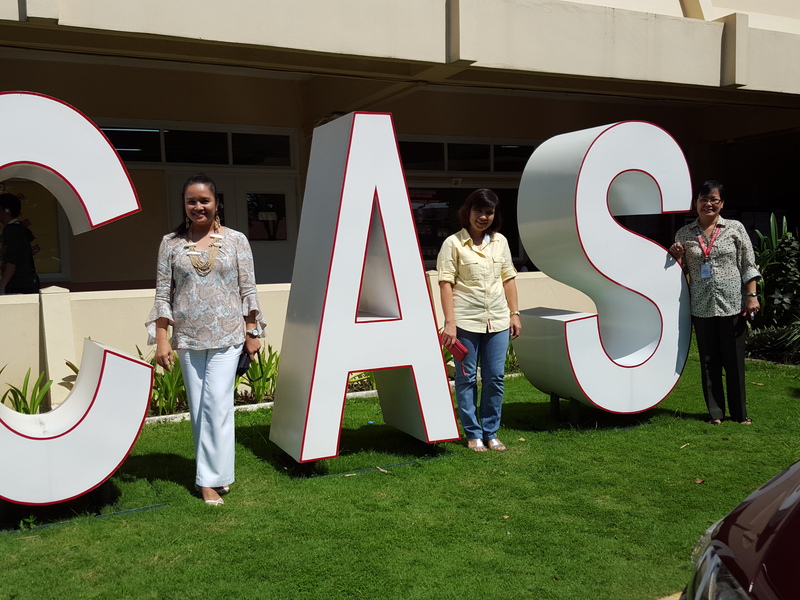 To make our first time of having lunch together this school year more memorable, we decided to have a photo with the big C-A-S and S-B-C-A letters which proudly display the acronyms of the College of Arts and Sciences and San Beda College Alabang. 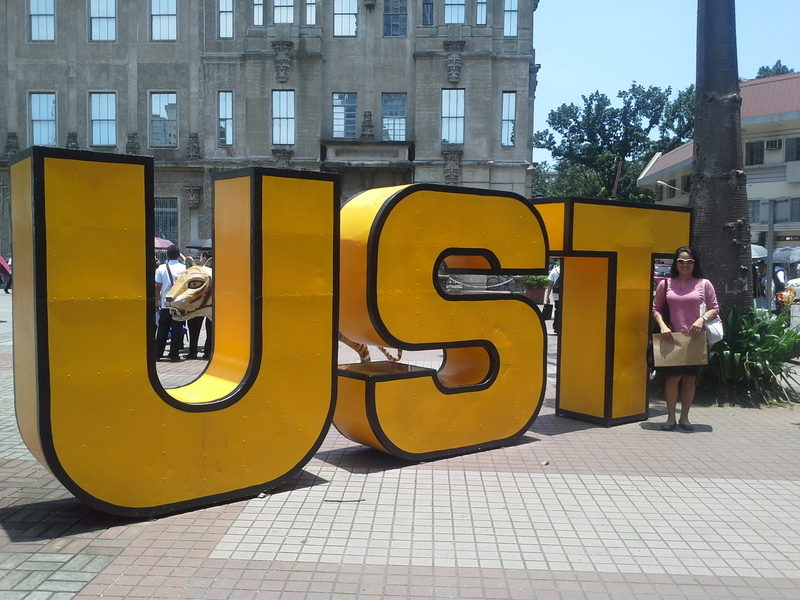 These letters were erected at the beginning of the academic year and they were a fresh sight in the campus. We were in unison to have the souvenir shot only to find out that we were all looking for the right timing to have a picture with them. These photos actually had me smiling because it was only two weeks ago when I also had my first time to have an almost similar shot with these yellow-colored letters. Funny was, this common sight in the University of Santo Tomas where I took my post-graduate education had stood there for the range of time that I hurdled my masteral studies. But it was only on August 5 that I decided to stand beside it after I had claimed my diploma. Evidently, it was my way of reminding myself that I now carry the Growling Tiger’s blood in my veins despite being so much connected with the Red Lions. Ooops… I have to make a revision of the preceding statement. I do not want to be accused of denouncing my original roots. Yes, first and foremost, I am a proud product of PNU (Philippine Normal University). This is the school which was a melting pot of students whose strongest drive to earn a college degree was their family. It was here where my dream of becoming an educator had finally taken shape. It was here where the fruition of my dream of helping my family rise from poverty had all begun. Here are four sets of letters which may look so ordinary to many, but not to me. These letters serve as my gauge how far I have really come. And most importantly, they are my constant aide-memoire in looking back at where I came from.